Coating on Tongue? What Are The Causes? Find Out Here! The most common coating on tongue issue is a white or grey appearance on the upper surface. This color is a layer of debris, bacteria and dead cells on the surface, resulting in a white tongue coating . It may look a bit alarming, but most of the time the problem is harmless and temporary. This build-up of debris and dead cells is usually associated with not eating enough fiber-rich food, or to put it another way - eating too much junk food! Your tongue evolved millions of years ago to cope with a rough, fibrous diet. Modern foods are frequently too refined and too soft to rub enough on the tongue to remove the layers that build up. There are 2 ways to tackle this problem. 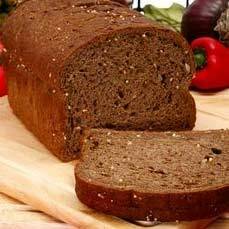 Change your eating habits to a diet with more fiber and fewer refined foods. That means less food out of packets (any packets), and more fresh food, especially fresh fruit and fresh vegetables, and wholemeal bread. Start brushing your tongue each morning and night. Brush your teeth first in the normal way, then run your brush under cold water, and brush your tongue, gently. Use firm strokes, from the back of your tongue down to the tip. Every couple of strokes, rinse your brush off. After about a minute of slow deliberate brushing, you should have removed nearly all the debris that causes a tongue coating. You can do this most effectively with a good quality sonic brush that has a tongue cleaning attachment, like the Cybersonic 3 toothbrush. Leukoplakia. This is basically a white patch somewhere in your mouth. It can occur on your tongue as well as on your cheeks or under your tongue. A leukoplakia covers a relatively small area when compared to a normal tongue coating as described above. A typical coating on tongue covers pretty much the whole of the top of your tongue. A leukoplakia is basically an overgrowth of cells, leading to the formation of a white patch. Although not dangerous on its own, in time it may develop into cancer if not treated. So get it checked! It is the result of chronic irritation to the soft tissue surface, from things like rough teeth, rough fillings, or badly fitting dentures that rub against the tongue. Other possible causes include smoking, including a pipe, or chewing tobacco. You can get a leukoplakia at any age, but it's more likely in older age groups. You can read more about this at my page about Leukoplakia. Treatment is simply getting rid of the cause. Once rough fillings and teeth have been fixed, the patch will normally go away within a few weeks. Oral thrush. This is an infection caused by a yeast, with a fancy medical name "Candida Albicans". It is also called "candidiasis". It tends to occur in the very young and the very old. Denture wearers can be prone to getting this infection, and anyone else whose immune system is a bit run-down. If you have diabetes or take steroid inhalers for asthma you may be more prone to get thrush. Taking a course of antibiotics for some other infection can sometimes affect certain beneficial bacteria in your mouth. This can allow an overgrowth of the thrush-causing yeast. If your tongue coating really is caused by a yeast infection, then a course of tablets called Fluconazole will take care of it. Oral lichen planus. This looks like a lacework of white lines on your tongue. It is also common on the inner surfaces of the cheeks. Some specialists will advise replacing any old amalgam fillings that are close to the affected area on the tongue or cheek. Apart from that, it's often impossible to find out the exact cause of this condition. Most of the time, it resolves on its own. As you see, there are several possible causes of coating on tongue. In the first instance, try brushing your tongue firmly morning and night, and cut down on junk food! If that doesn't help, get your dentist to check it out. If you have a coating on your tongue, you may also have some bad breath from time to time. I strongly recommend using TheraBreath mouthwash to cure this. 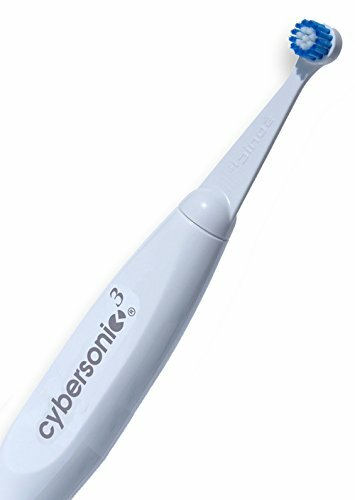 REMEMBER, I highly recommend the Cybersonic 3 sonic toothbrush. I think it has the best performance of any brush I've tested - AND IT HAS THAT TONGUE CLEANING ATTACHMENT - and you can get it at a great price (50% off!) if you use the discount code on Best Sonic Toothbrush.